Plate I. 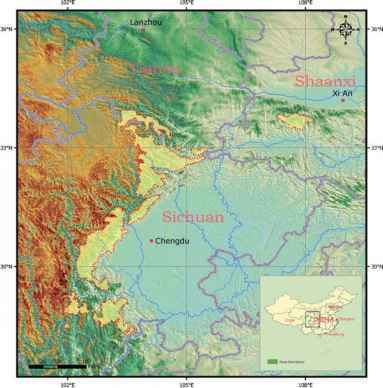 Range map for remaining fragmented populations of giant pandas living in nature. Plate II. Giant panda with Stunted Development Syndrome (SB 325) (photograph by D. Janssen). Plate III. 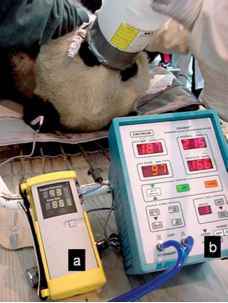 Anaesthetised giant panda illustrating supplemental oxygen administration. (a) Portable pulse oximeter; (b) indirect blood pressure monitor.